I am the Real Vine and my Father is the Farmer. He cuts off every branch of me that doesn’t bear grapes. 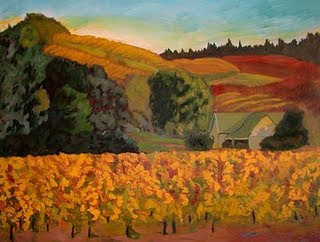 For several years we lived in a region known for its verdant wine valley. Acres of rolling, grapevine covered hills were a pastoral view for miles. In between, there were sheep grazing in the fields. It looked pristine and in perfect order. This was my only image of the area until a few months after our arrival I drove the winding, twisting road and spotted smoke in the distance. Rounding the curve into the valley I was startled. The vineyards had been massacred! The verdant hills were replaced with miles of fence-post like pieces of wood. Smoke was rising from small burning piles of tangled vines. Pruning season had begun. Jesus used visual images like this when he taught his disciples. It may well have been pruning season when he made his comparison. And, like me, perhaps the startling “result of pruning” image caused them pain in the looking. Whether in our churches or individual lives, God uses the act of pruning to rid what doesn’t produce the way he intended. Unfortunately, like the vineyards in my wine valley, it can be severe as well as uncomfortable. As the Farmer he sees the amount and quality each branch is producing and what his harvest will be. What he looks for are not necessarily the prettiest, sturdiest or even abundantly producing branches but the branches whose fruit will, by their very quality, bear witness to his perfect farming ability. And at different times, even those will get pruned in order to keep producing the very best. fruit that reveals Your perfect nature.